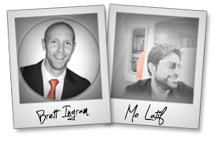 Mo Latif + Brett Ingram – Flickstr Launch Affiliate Program JV Invite, More. Welcome to the JVNP 2.0 Weekend Update featuring a primary JV invite courtesy of fellow JVNP 2.0 Partners Mo Latif + Brett Ingram (Flickstr video software launch affiliate program JV invite), Buzz Builders, and More … in Today’s generating big profits with tiny little videos edition..
Brett Ingram and I are releasing an EPIC video software that will BLOW your customers away. EVERYONE is talking about video. That’s great, but do you know why video is KILLING it more than anything else online right now? Here are some quick stats you should know. On average, top 10 affiliates sell 100-600 units EACH, banking $1,000 – $10,000+. Top 5 affiliates walked with FIVE figures. This is all down to exceptional marketing with the front end converting at a crazy 23% and OTOs (combined) at an insane 87.1%. The average EPC is $9.81 so it’s no accident because we go all in to ensure every little detail is bang on with nothing left to chance. We’re putting the WOW back into video and it’s why we’re SUPER excited about this brand new launch. It’s destined to BREAK RECORDS with 100s of affiliates already signed up and ready for the official launch date. It’s called Flicktsr … and it’s not ordinary. 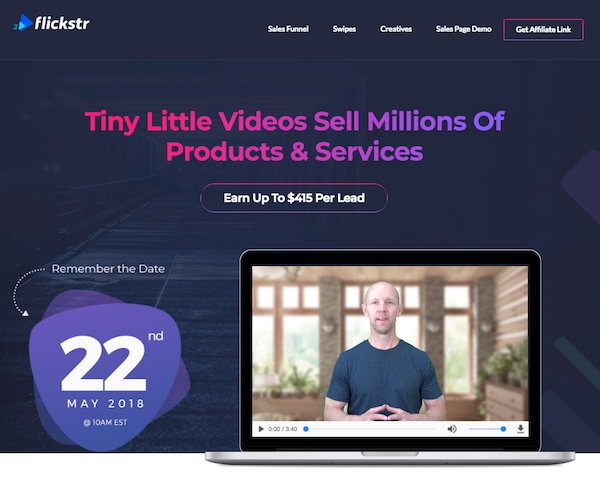 It’s a revolutionary video studio that creates outstanding, delightful and highly engaging, box office videos so you can captivate, mesmerize and get paying customers. These are real LIVE action, INFOMERCIAL videos that were once reserved for the big boys with BIG pockets. Not anymore because you too can create multi-dimensional experiences for your customers that’s entertaining, informative and compellingly persuasive. Flickstr is super newbie-friendly (watch the demo) so NO prior skills or experience is needed making it literally plug-n-play. The offer (sales copy, VSL, design, swipes, creatives) is going to be absolutely spectacular with a never seen before hook to ensure MAXIMUM conversions to you. If you have been on any of our launches, you already know this but still, we’re doing some crazy cutting-edge stuff to ensure it pays you even more maximus commissions. In a nutshell, we have over TWO decades of digital online mastery experience and have sold over 100,000 units. We also hold a staggering 30 (THIRTY) #1 Best Sellers on Clickbank & JVZoo so we pretty much KNOW exactly what we’re doing. Better yet… check out our business relations here (there’s OVER 50). MARK the date, Tuesday May 22nd, sign up as this is going to get you the EASIEST $1,000 – $10,000+ … EVER! Our current and long-term partners/affiliates are already signed up and waiting. We’re committed to ensure they bank BIG once again. It’s what we do… under-promise and OVER-deliver! Better yet, we’re reaching out to you to offer YOU the same commitment. We LOVE to have you on board this launch to make it A-M-A-Z-I-N-G!! Mark Ling, Gerry Cramer + Rob Jones, Fred Lam + Michael Shih, Rob Thompson, Travis Stephenson, Sara Young + Andrew Hansen and other fellow JVNotifyPro 2.0 partners are waiting in the wings … keep your eyes on your Inbox, and follow the action in the JVNP 2.0 Premium VIP JV Announcement archives. Posted in Internet Business + Marketing, Joint Venture Announcements	| Tagged Affiliate Marketing, Affiliate Programs, Brett Ingram, Buzz Builders, evergreen affiliate programs, Find Affiliates, Find JV Partners, Flickstr, Home Business, Internet Marketing, Joint Ventures, JV Calendars, JV Invite, JVNewsWatch, JVNotifyPro, Launch, Launch Calendars, Make Money Online, Marketing, Mike Merz, Mo Latif, Need Affiliates, Need JV Partners, New Product Launches, Niche Marketing, Online Business, Video Software, Work At Home	| Comments Off on Mo Latif + Brett Ingram – Flickstr Launch Affiliate Program JV Invite, More.